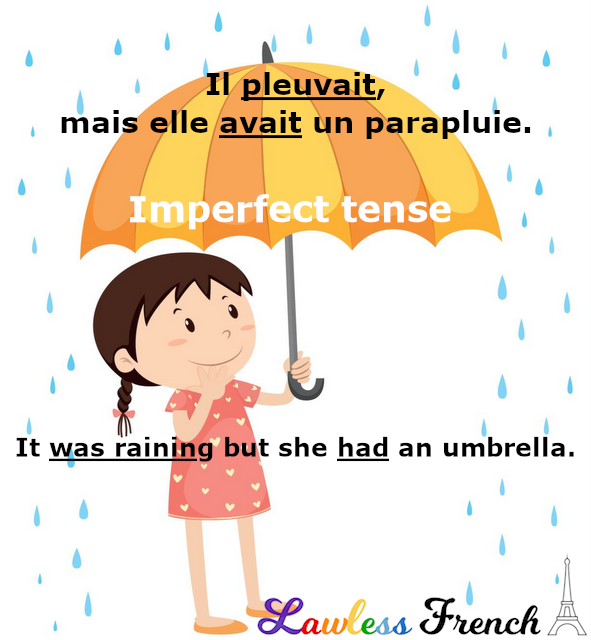 They say practice makes perfect, so how can one of the most common French past tenses be imperfect? In grammatical terms, "perfect" means "complete," so the French imperfect tense is used to describe an incomplete or ongoing action or state of being. Il pleuvait mais j’avais un parapluie. 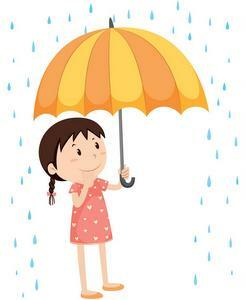 It was raining but I had an umbrella. Quand j’avais 6 ans, j’étais souvent malade et je craignais les chiens. When I was 6 years old, I was often sick and I was afraid of dogs. L’année dernière, nous allions au ciné chaque vendredi. Last year, we went (we would go) to the movies every Friday. Je m’ennuyais souvent. I was often bored. J’allais au parc parce que je voulais me promener. I was going to the park because I wanted to take a walk. J’étais au bureau quand j’ai appris la nouvelle. I was at the office when I heard the news. J’allais te téléphoner. I was going to call you. J’étais en train de rénover le garage. I was (in the process of) renovating the garage. Je venais de rentrer quand tu as appelé. I had just gotten home when you called. Je voulais vous poser une question. I wanted / I would like to ask you a question. The imperfect is often used with si, in which case it’s not a past tense. Instead, it expresses something that is unknown or unreal in the present or future. Si on allait au ciné demain ? How about going to the movies tomorrow? Si seulement je gagnais au loto ! If only I won the lottery! Tu parles comme si tu pouvais prédire l’avenir. You speak as though you can see the future. Si tu avais un emploi, tu pourrais acheter une voiture. If you had a job, you could buy a car. * I know this sounds like it’s in the past, but at the time, it wasn’t. She wanted to know if I was married in the present tense of her asking. The French imperfect is often used alongside the passé composé, which can be very confusing for French students – learn more.